The Foundation for Peripheral Neuropathy is a public charity foundation committed to fostering collaboration among today’s most gifted and dedicated neuroscientists and physicians. These specialists from around the country will help us maintain a comprehensive view of the field and determine the research areas that hold the most promise in neuropathy research and treatment to develop new and effective therapies that can reverse, reduce and one day eliminate Peripheral Neuropathy. It is our ultimate goal to utilize every means and opportunity to dramatically improve the lives of those living with this painful and debilitating disorder. Our mission is to dramatically improve the lives of people living with Peripheral Neuropathy. Learn more about our accomplishments to date. Lou resides in Arlington VA, and has practiced law his entire career with Groom Law Group, Chartered in Washington DC. Groom is the largest employee benefit law specialty firm in the country and Lou has more than 40 years of experience with the firm, working on a wide variety of matters related to the tax aspects of employee benefits — including pension, 401k and health and insurance plans — for Fortune 200, tax-exempt, institutional and state and local governmental clients. Lou grew up in Northern New Jersey and graduated from New York University before attending law school. He continues to be involved with NYU – including participation on the Steering Committee to establish a NYU-DC campus in Washington DC. Lou graduated from Georgetown University Law Center in Washington DC in 1974. He taught on the Adjunct Faculty there for five years in his field of practice and is an active alumnus. In 2003, Lou was first affected with PN (of the relatively rare autoimmune variety associated with anti-MAG or “monoclonal gammothapy of undetermined significance”). He was fortunate to become a patient of former FPN Board Member, Dr. David Cornblath, who has helped Lou manage his illness for many years. Lou is currently funding a Research Fellowship focusing on PN patients with anti-MAG with a goal of developing more information on effective treatment strategies. Jack established our charity foundation to support the funding of collaborative research with the goal of improved treatments and an eventual cure for Peripheral Neuropathy. A prominent Chicago entrepreneur and philanthropist, he was the founder and former President/CEO of Quill Corporation. In addition to being Chairman of the Foundation for Peripheral Neuropathy, his other endeavors include being co-chairman of Millbrook Real Estate and Chairman of the Jack Miller Center for Teaching America’s Founding Principles and History. He and his wife, Goldie, also support Jewish and community efforts through the Jack and Goldie Wolfe Miller Fund. Dr. Senda Ajroud-Driss received her medical degree from The Medical School of Tunis, Tunisia; she completed her Neurology Residency at the University of Illinois at Chicago and her Neuromuscular Fellowship at Northwestern University Feinberg School of Medicine. Prior to her residency, she worked as a post-doctoral fellow in Dr. Teepu Siddique’s Neurogenetic laboratory at Northwestern University, establishing linkage of an autosomal dominant mitochondrial myopathy and later identifying the causative gene. She is Board Certified in Neurology and in Neuromuscular Medicine. She is currently an Associate Professor in the department of Neurology at Northwestern University. She is the program director for the neuromuscular fellowship program and has been involved with the Foundation for Peripheral Neuropathy for at least 11 years. Adam currently serves as a project leader on the Social Innovation team at the Green & Healthy Homes Initiative – one of the nation’s leading public health efforts. In this role, he leverages Pay for Success and other innovative financing models to drive investment in evidence-based preventative health interventions that improve health outcomes at scale while reducing medical costs in communities across the United States. Previously, Adam served as a strategy consultant at McKinsey & Company where he has advised clients in the healthcare, high tech and basic materials industries. Prior to joining McKinsey, Adam earned a JD from the University of Michigan Law School and an MBA from Oxford where he served as a portfolio manager for the business school’s venture fund. Adam is deeply committed to improving the lives of PN patients around the world through better treatment options and greater awareness of current best practices in managing PN. Mr. Hirsch is the Chief Financial Officer of The Benida Group, responsible for accounting and tax functions for the real estate, investment and family office operations at The Benida Group. Previously, Mr. Hirsch held the position of Tax Manager at Miami Corporation and Deloitte & Touche LLP. Scott received his Bachelor of Science in Accountancy from the University of Illinois and holds CPA and CFP® certifications. Van Salmans serves as a consultant to Salmans & Associates, a cheese marketing and sales company, which he founded and sold after 40 plus years in the dairy industry. Van received his B. A. in economics from Stanford University and his M.B.A from the University of Chicago Booth School of Business. Van resides in the Greater Chicago area. Van first noticed a nerve condition in 1998 and has coped with the progression of peripheral neuropathy ever since. He is committed to increasing the awareness of, raising funds for and helping find cures for PN. He hopes FPN is able to assist in reaching a new level of national commitment to a disease affecting approximately 30 million Americans and countless more around the world. As a lifelong competitive golfer, Van believes that staying as active as one can along with continued exercise is one of the best ways to cope with and manage PN. Alicia Schuyler Oberman serves as the Foundation Director of the Jack Miller Family Foundation (for which she is also a Board member) and its related philanthropic fund, the Jack and Goldie Wolfe Miller Fund. Prior to joining the staff of the foundation, Alicia worked as an attorney in the corporate and securities group of the Chicago-based law firm Neal, Gerber & Eisenberg LLP. While practicing, she represented various public and private companies and individuals in a wide variety of business transactions, including mergers and acquisitions, private equity investments, joint venture transactions, divestiture transactions and corporate restructurings. In addition, Alicia serves on various other non-profit boards. Dr. Smith is a Professor and Chair of the Department of Neurology at Virginia Commonwealth University. Prior to this role, he served as Vice Chair for Research, Chief of the Division of Neuromuscular Medicine and Director of the Jack H. Petajan EMG Laboratory at the University of Utah. Smith is a graduate of the University of Virginia and the Mayo Medical School. He completed his neurology residency and a neuromuscular fellowship at the University of Michigan. Smith’s NIH funded research team focuses on peripheral neuropathy in diabetes and obesity. He has a particular interest in biomarker development and novel clinical trial design in peripheral neuropathy. He was principal investigator of the Utah Regional site in the NINDS-funded Network for Excellence in Neuroscience Clinical Trials (NeuroNEXT), and sits on the NeuroNEXT Executive Committee. Dr. Smith is PI of the Topiramate as a Disease Modifying Therapy for Cryptogenic Sensory Peripheral Neuropathy (TopCSPN) trial being performed by NeuroNEXT. TopCSPN is the first large scale randomized trial of a treatment to alter the natural history of CSPN, which is one of the most common neurological disorders. He is also PI of the Activity for Diabetic Neuropathy (ADAPT) Trial. Dr. Smith has led or participated in numerous clinical trials in neuromuscular disorders including the Impaired Glucose Tolerance Neuropathy Study (IGTN) and the Utah Diabetic Neuropathy Study (UDNS). Smith also currently serves on the Board of Directors of the American Academy of Neurology and is Chair of the Education Committee. 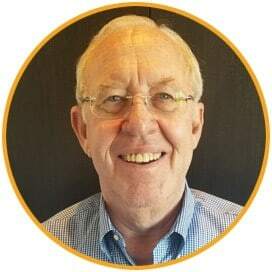 Smith is active in the Peripheral Nerve Society, where he is a former member of the board of directors. He currently serves as the Secretary on the American Brain Foundation Board of Directors. Lindsay serves as the Executive Director for our charity foundation, focusing on raising awareness and support for individuals living with peripheral neuropathy. She is excited to turn the board’s enthusiasm into successful outcomes for the Foundation and its members. Prior to Lindsay’s joining the team in April 2017, she gained a decade of experience in fund development, strategic planning, and marketing at Chicago-based non-profits, including Northwestern University and Rotary International. She holds a M.A. from the University of Wisconsin-Madison. In her free time, Lindsay enjoys traveling, cycling, and watching baseball. Nancy Frohman serves as the Director of Development and Marketing for the Foundation. Starting her career in the financial and corporate sector, Nancy has focused her business and management skills to the nonprofit sector for more than a decade. With broad experience in foundation and grants management, philanthropic and corporate giving, and fund development, Nancy has worked for and with nonprofit organizations in education, healthcare, and other sectors, including managing a medical foundation based in Asia for nine years. Nancy also currently sits on several local and global nonprofit boards and advisory committees. Nancy is pleased to bring these skills and experiences to FPN, and looks forward to supporting the Foundation to further its mission of research and patient programming in peripheral neuropathy. Nancy has an MBA from the American Graduate School of International Management (Thunderbird) and a BA from Duke University. Lisa provides administrative support to the Foundation staff and Board members, handles educational and research programs for the Foundation, and performs general office tasks. Lisa holds a BA in public relations/journalism from Marquette University and a Certificate in Paralegal Studies from the College of Lake County. After a career in community outreach, marketing and relationship management with the American Red Cross (Health and Safety and Blood Services divisions), Lisa became a litigation paralegal, serving Chicago law firms for a decade. In her role with the Foundation, Lisa combines the breadth of her experience in PR, non-profit marketing, development, project management, client service and administrative functions in support of the diverse activities of the organization’s members, board of directors and executive team. Lisa has a personal interest in peripheral neuropathy, which has impacted several of her family members.